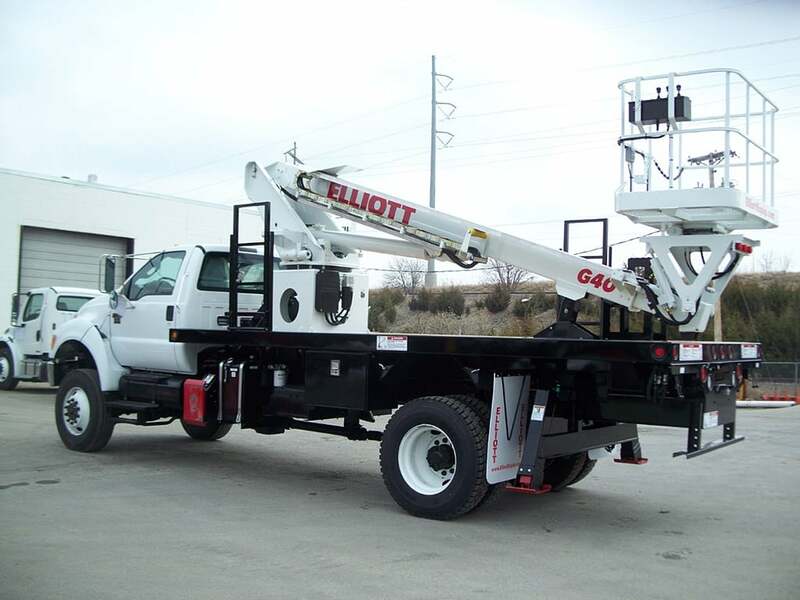 Elliott’s BoomTruck line ranges in capacity from 10-50 tons with an array of boom lengths from 39 to 142 feet covering everything from pump-jack service to wireline support and more. Whatever your job, Elliott has a machine to help you do your work more safely and efficiently. 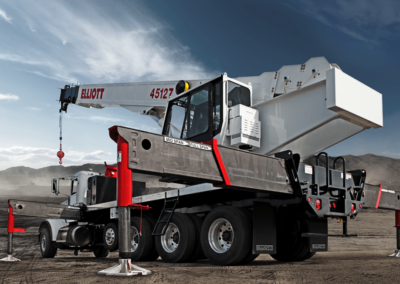 Featuring extremely smooth control performance with your choice of full hydraulic or electric/hydraulic crane controls, Elliott lets you work the way you want to. Plus, we will work with you to customize your machine for your application. Whether you need an auxiliary winch, remote controls, tractor mount or special layout, we can help. See why Elliott is the fastest-growing supplier in the industry. Check out our product line and contact us or your local dealer for more information. Elliott’s 36- to 50-ton BoomTrucks offer enclosed cabs and glide-swing functionality to handle even the heaviest picks in sensitive and delicate applications including wireline, slickline and more. Utilize Elliott’s dual winch package to boost functionality in oilfield applications. The secondary winch is underslung or piggyback mounted on the main winch, and includes a secondary sheave package that pins easily to the boom tip. Optional winch drum rotation indicators are available for both winches. 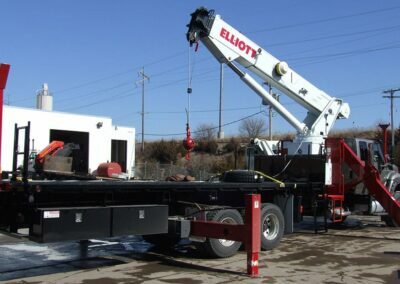 Elliott offers BoomTruck models in the 18-, 26-, 32- and 40-ton class that are available in tractor-mount configurations with special subframes and outrigger arrangements. Elliott’s heavy duty construction is perfect for the rigors of mining. Top quality components backed by a Lifetime Structural Warranty make sure your machine will stay on the job and stand the test of time. Elliott’s HiReach telescopic aerial work platforms are built for the most severe applications, including pumpjack maintenance, tank battery inspections, overhead rigging and more. Off-road outriggers and oversized bearing/turret/boom designs maximize equipment life and minimize downtime. 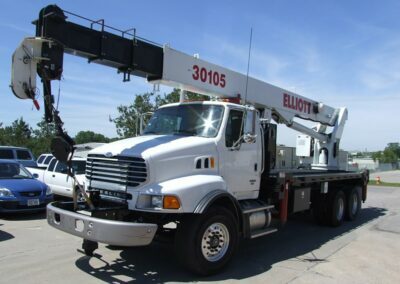 Elliott’s BoomTrucks feature your choice of fully hydraulic or electric/hydraulic controls for both fixed and swing cab machines to maximize performance in multiple climates and provide a smoother and more responsive feel. 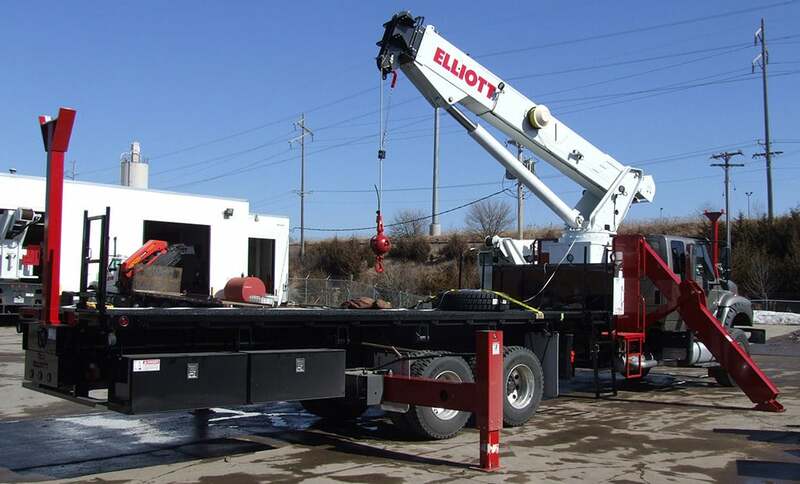 Elliott will engineer your machine with full pressure hydraulic controls, ANFO placement systems, oversized work platforms, severe-duty custom options, drilling packages and much more to help you do your job your way. Elliott BoomTrucks are uniquely qualified for the rigors of oil and gas applications. All Elliott products are built to last with the best components available and are backed by our Lifetime Structural Warranty. New 1881TM tractor-mount BoomTruck model. Redesigned 40-45 ton BoomTruck models with 360-degree chart without front stabilizer. 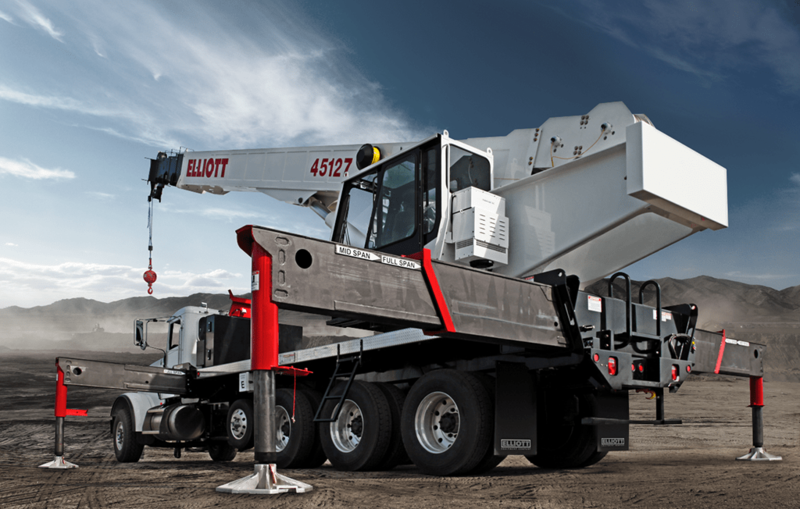 New 45-ton series offers swing counterweight and 127’ or 142’ boom lengths. 50-state USA federal bridge-legal cranes to 50 tons. 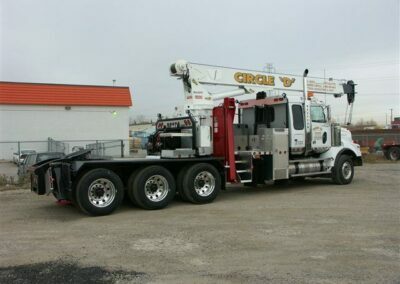 New crane cab design for improved comfort. 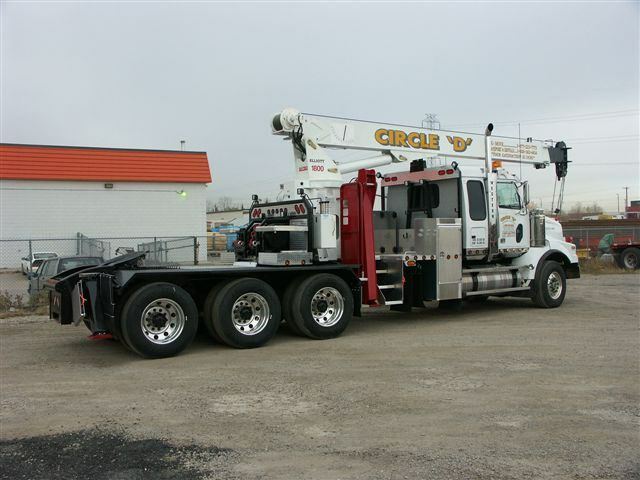 Updated swing cab crane controls for smoother performance and improved reliability. Optional EZ-Crib two-stage vertical outriggers with 20” additional ground penetration for off-road use. BoomTruck dual winch package with auxiliary sheave case on boom tip. BoomTruck crane cab AM/FM/CD player and air conditioning system. Custom boom rests for bed-mounted racks or trailer connections. Custom outriggers for off-road conditions for extra ground penetration. Extreme climate packages for improved performance and equipment protection. BoomTruck tractor-mount options for most models.